Soon after Jwahir Sundai started at Cambridge Rindge and Latin School, she began searching for “any resources I could get that would help me get into a good college.” A visiting admissions recruiter told her about The Posse Foundation, an unusual college-access and leadership program through which high-achieving students attend top-tier institutions within supportive groups—posses—of like-minded peers. The selection process is rigorous (typically fewer than 5 percent of the applicants are chosen) and uses a “dynamic assessment” process to measure qualities like boldness, resilience, creativity, and ability to work in a team, rather than relying on the traditional standardized test scores, class rankings, and GPAs. 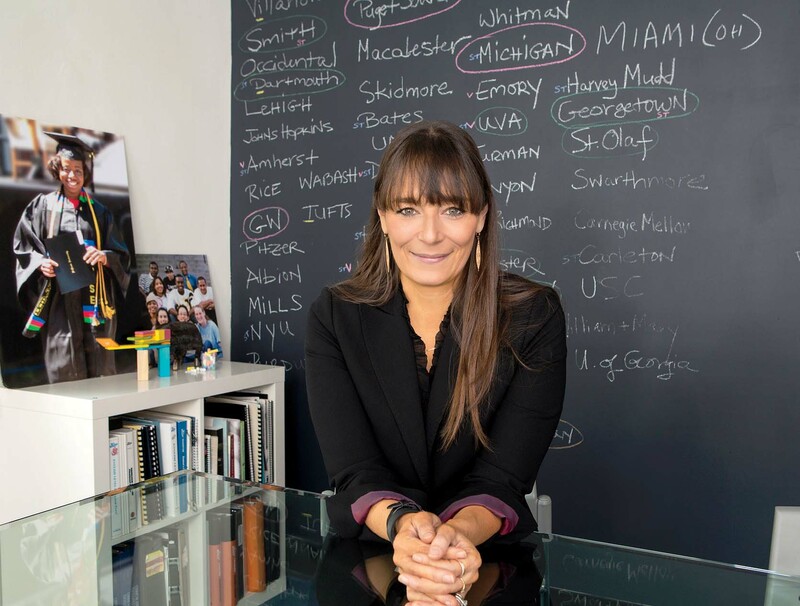 More than 3,500 Posse students are currently enrolled in four-year undergraduate programs, says Posse founder and CEO Deborah Bial, Ed.D. ’04. (There are 74 partnerships in all because a third of the partners take more than one posse in a class.) Students receive full-tuition scholarships and extra support from on-site mentors/advisers and from Posse staff members before, during, and after their undergraduate years, along with connections to research opportunities, internships, and comprehensive career guidance. There’s also a network of more than 4,000 Posse alumni. Bial, a 2007 MacArthur Foundation fellow, has a spot at the table herself, having built the foundation into a force for social change with 10 offices around the country, 170 employees, and $80 million in assets (including a $50-million endowment). Partnering educational institutions foot their students’ scholarship bills, “which is why we are able to be so big,” Bial explains, while Posse relies on contributions and grants to operate. The foundation has always been headquartered in Manhattan, where Bial lives with her husband, former New York Times op-ed columnist Bob Herbert, and across the river from her hometown of Teaneck, New Jersey. Her father played the bassoon and contrabassoon for the New York Philharmonic for 38 years, and her mother was “the public-relations person” at the New York State Psychiatric Institute. Within a year, at 23, she had started the foundation as “just an idea.” Vanderbilt’s Peabody College “took a chance on a program with no track record,” she says, and accepted five New York City students in 1989—“And the idea worked. That first group of kids was incredible.” For the next decade, Bial and a small team focused on designing the “dynamic assessment” tool and a pre-collegiate program for successful applicants, then added new partners—Brandeis, Middlebury, and DePauw, among them. (During this time the foundation officially incorporated, with Michael Ainslie, M.B.A. ’68, as the inaugural board chairman.) Bial herself returned to school in 1995, earning a master’s degree, and later her doctorate, at Harvard while simultaneously fine-tuning the foundation. In 1999, she began replicating the Posse model, opening a second office in Boston. Further expansion, between 2007 and 2016, under the board leadership of Jeff Ubben, co-founder and CEO of the San Francisco-based hedge fund ValueAct Capital,brought 47 new partnerships and increased foundation assets to $80 million. Today, alongside additional financial supporters, Bial has well-connected advocates within higher education, including former Harvard president Derek Bok, who serves on the national advisory board. It’s also why access to internships and career help is built into the program. Generous backing led to this spring’s announcement of a new Posse summer-fellowship program, honoring Jeff Ubben, for five high-performing scholars annually. These “once-in-a lifetime” internships come with $7,000 stipends, Bial explains; the inaugural fellows have positions in the offices of U.S. congressman and civil-rights leader John R. Lewis, LL.D. ’12 (“He’s my hero,” she adds); film producer Jason Blum (Whiplash, Kicking and Screaming); and Nobel Prize-winning economist and Columbia University professor Joseph Stiglitz, among others. What’s next? By 2020, Bial expects to have a 6,000-strong Posse alumni network and 26 more educational partnerships, which would bring the number of Posse students in the pipeline and on campuses at any given time to about 5,000. In addition, she is expanding another cohort of the Posse population, which began in 2012: post-9/11 military veterans. “These are people with a lot of experience already, who are returning to college for degrees, and the average age is 27,” she reports. “Their first choice is not to go to school with a bunch of 19-year-olds out of high school. But to have other vets with you? That changes the whole thing.” Some 80 Posse veterans are enrolled at partner schools Vassar, Dartmouth, and Wesleyan, with another 30 arriving this summer, and Bial wants to bring at least eight more partners on board. Bial revels in continuing to build the organization and hone the “dynamic assessment” process that asks candidates to build those LEGO robots, offering examples of the knotty questions posed to applicants: Are you more proud of how you think or how you act? Do you generally give people a second chance? Explain.